Another academic year has begun. A lot has happened since I staged my first Cooperative Learning event in March 2014, the Healing Fractures educator’s workshop investigating traditional teaching practises. Since then, I have created specialised courses on Islam in Religious Education, presented tailored lessons to primary and secondary students directly, coached in MFL at the University of East Anglia, hosted open CPD events to secondary teachers, spoken at a variety of events on Cooperative Learning in relation to community building, taught PGCE students at the IoE – to name a few. Precisely a year after that first event, Healing Fractures II drew in tertiary researchers, head teachers, private education companies, university outreach personnel, diversity experts and researchers from London, the Midlands, even Exeter. And, more important than anything else, I am now working successfully with schools to deploy Cooperative Learning as a whole-school solution. The absolutely stunning achievements by Stalham Academy staff, with only six hours of CPD, shows what can be done. I can’t think of a single teacher of this small “low attainment area” school who would claim to be the PhD-toting Clark Kent of the classroom, yet they have managed in a few months to turn the school from special measures to “good”. And the effect of those few hours of CPD seems to have no end, as teachers have made Cooperative Learning their own. Three two hour twilight was enough. Regardless of context, the power of Cooperative Learning is obvious to anyone who experiences it first hand. For schools, it strikes the balance between low cost, easy implementation, control, pupil buy-in and quick, measurable results. For business, community building and outreach work, the potential of Cooperative Learning has hardly been glimpsed. Before school started, this semesters first clients, Norwich Primary Academy, Apex Primary and Headstart have all done the first module of Skills & Mastery on dedicated INSET days, tailored to include lesson planning. Throwing in this extra hour is a wise choice from school leaders, as the dedicated time for teachers to take ownership in the session is invaluable. 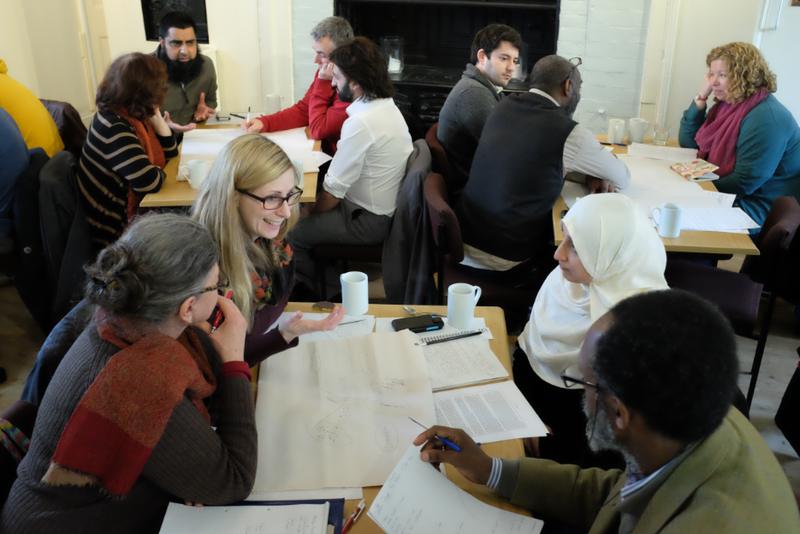 From end of this month, the completely unique 21st century British Muslim tailored course will officially be part of the Association of Muslim Schools’ professional development package. Aside from supporting academic results and behaviour through Cooperative Learning strategies, this flagship course gives a practical demonstration of how these strategies may successfully facilitate the Islamic component of the curriculum in relation to authentic identity formation in the context of “Fundamental British Values” and other requirements outlined in the Independent Schools Standards. Stay updated on twitter for more on this. Also in the pipeline this semester, you will find a full scale roll-out to boost results and create a more realistic and engaging learning environment in a major university, as well as tailored workshops to facilitate parental engagement, and, hopefully, employability skills by working closely with local businesses. Finally, a dream has come true for me. Given the routine assertions that Cooperative Learning denotes wet talking exercises, some science and maths teachers I have spoken to have raised concerns. During development of the courses to Norwich Primary Academy, fate has willed that the deputy head, Mr Ben Rogers, was point man. Before his tenure at NPA, Ben has taught science at secondary level for 18 years and sees what Cooperative Learning can actually do. Many will be familiar with Ben’s blog, ReadingforLearning, and his special focus on reading in Science as a very distinct and largely unexplored area. I am very happy to have joined forces with Ben to create a series of lesson plans exploring how Cooperative Learning may facilitate literacy in Science. I cannot think of anyone I’d rather work with on this. The project will be tracked on a separate blog, cooperatebelitterate. First posts are up, we encourage all teachers with ideas, experience or insights to comment. In other news, I am shifting my base of operations towards the Midlands to support my ongoing engagement with multicultural schools. While rural Norfolk schools may have problems, inter-ethnic and cross-cultural tension is not the first one that springs to mind. Cooperative Learning has been demonstrated to improve race relationships in schools. Working successfully with authentic identity formation and respectful negotiation of values in multicultural settings is one of the most interesting possibilities offered by this method. If Cooperative Learning is as effective in this as it is in teaching subject knowledge, the long-term impact on Britain may be reason enough for higher echelons to take a serious look at Cooperative Learning. Though Ben and I are highly competent in our respective fields, we have opened social media to engage other teachers. Why? Because the days of a handful of authoritarian experts is over. I am convinced that the highly complex, global future belongs to cooperating crowds of unique individuals – in business, politics, education, medicine, research. Britain led the industrial revolution. Why not lead the post-industrial one?